My heart thumped as Jethro pressed my shoulder blades, forcing me to read the tattered age-stained scroll in the cabinet. My hands slipped on the glass as my legs gave out. The calligraphy of ancestors past sentenced me to a life worse than death. My rights had been taken. My life stolen. My body no longer mine. His strong hand wrapped around my middle, hoisting me up and against him. The second I was on my feet, he spun me around and pushed me to my knees. My head pounded from where he’d knocked me out; blurry eyes landed on his expensive patent black shoes and perfectly creased slacks. “Look at me.” His voice turned harsh, barbaric beneath his cultured refinement. My neck screamed as I raised my head, higher and higher, coasting over his crocodile leather belt, crisp grey shirt and locking onto a pair of ferocious brown eyes. No. Nothing made sense. My brain had skipped into white noise and everything I’d lived through was surreal—a dream. A nightmare. I bit my lip, refusing to reply. His dark eyes flashed and his hands landed on his belt. Undoing the loop, he pulled it free and smirked. My jaw locked as my body stiffened to a plank. Oh my cant wait love your books hope I am lucky to get arc copy. Would love to review. Wow! 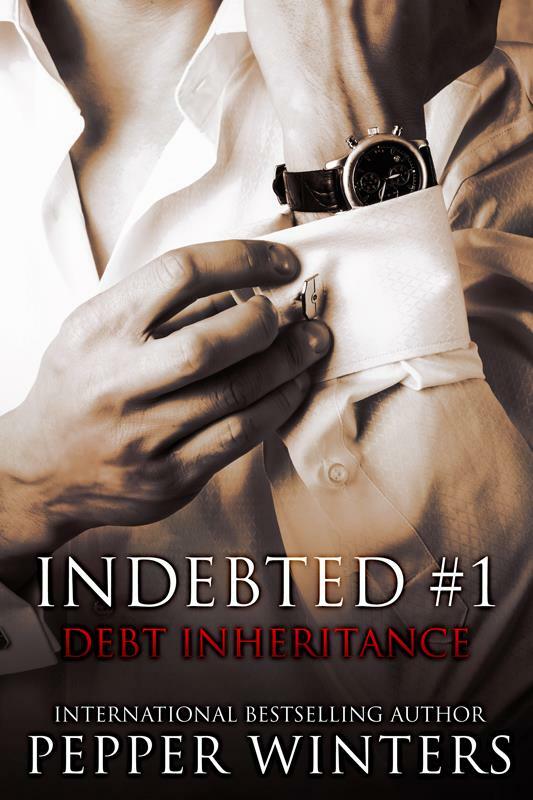 I can’t wait for Indebted to be released! That was fantastic! I can’t wait to read this one. I’ve loved everyone of you books so far….keep the dark coming! WOW! When will this be released? You have become one of my favorite authors who I keep my FB page open to on my iPad! Absolutely LOVE your writing!!! I want an arc copy. 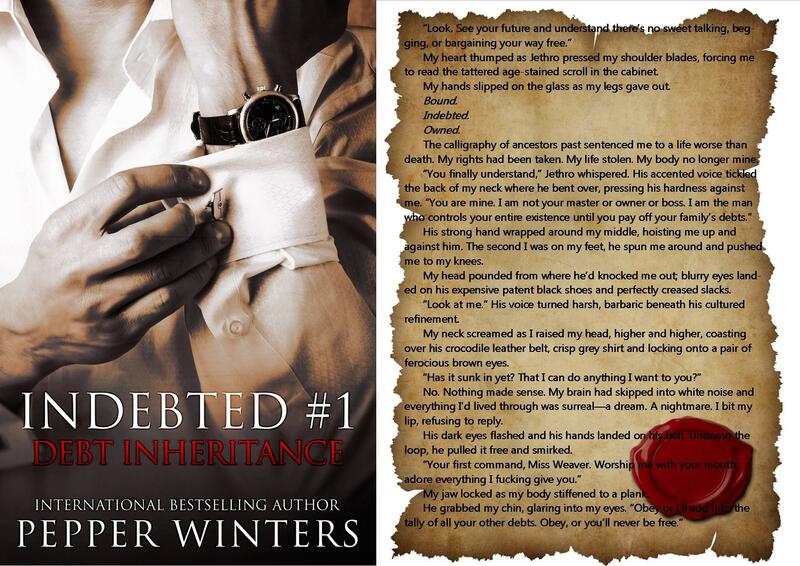 I love all of your books they are so dark but so intense that it gets me so totally hot and bothered!!! I love them!! !